Here in the Pacific Northwest, the weather report is calling for snow this Christmas, almost as rare as finding two snowflakes exactly the same. Even if our dreams of a white Christmas melt away, we can still enjoy this beautifully simple LEGO snowflake by BrickinNick. 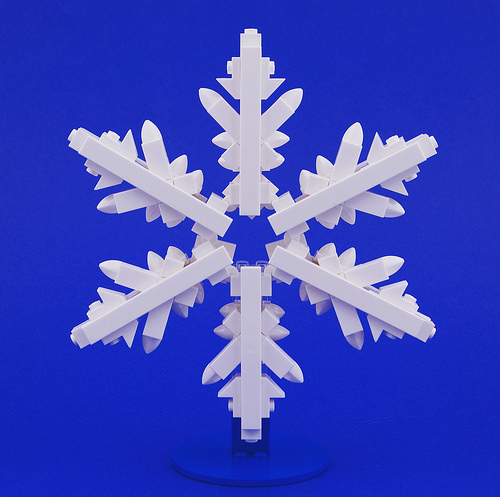 The build uses tiles and a variety of tooth elements to craft a snowflake that Elsa would be proud of.